It came to me by blind luck or coincidence. Either way, it was fortuitous that I found myself in Old Town Eureka on a nearly-abandoned, soggy, gray evening. Having heard the Austin-based singer-songwriter Bronwynne Brent on the radio the day before (she had made an in-studio appearance on KHUM), I was struck by her strong, distinct voice that carried a faint Irish or British lilt, and I wanted to hear her live in Old Town. Her songs contained dark narratives of extinguished relationships. It wasn't the straightforward heartbreak stuff. The lyrics carried a worldlier, older perspective. The native Greenville, Miss. 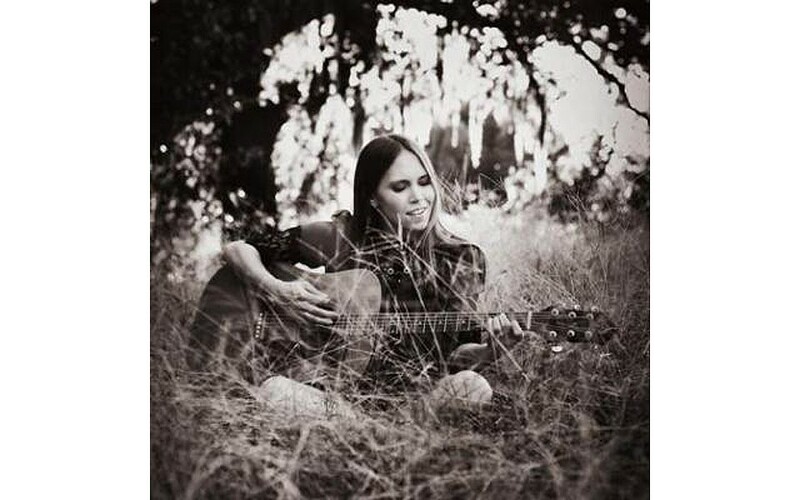 songwriter self released her debut full-length Deep Black Water, last year -- falling under the radar of most places outside the greater Austin area. Produced by Mike McCarthy, best known for his longtime production work with Spoon, her 2011 debut sparkled with pop-influenced folk songs wrapped in a crisp, alt. country sound. Her backing band, comprised of some of Austin's finest session musicians, included Faces keyboardist Ian "Mac" McLagan and pedal steel player Ricky Ray Jackson. Live, backed with only her guitar and harmonica, her often-melancholic songs resonated more powerfully in stark and intimate arrangements. Through her words and confident voice, the songs highlighted Brent's eye not on a relationship's flower, so to speak, but its thorns. In some regards, her narrators are similar to Richard Thompson's -- in their fascination, if not celebration, of characters that live on the darker side of the emotional street. In two 45-minute sets consisting of material mostly from Deep Black Water, Brent's self-effacing demeanor and Southern politeness often deflected any attention from the singer, per se, and allowed all the focus to be given to each song. "When the heat is on, and the storm is moving in," she sang, in the album's title track, "lightning is bound to burn you, like an unassuming friend. ... I want to swim in your deep black water. Make me whole again." That's the beauty of witnessing Brent perform: You are caught off-guard, not prepared for such dark, poetic imagery being delivered by a shy, modest messenger. Brent also peppered her set with a number of excellent covers, including Steve Forbert's "Tonight I Feel So Far Away From Home," Elizabeth Cotton's classic "Freight Train" and a superb version of Townes Van Zandt's "Pancho & Lefty." She also covered several compositions penned by her songwriting mother (two of Brent's sisters are also singer-songwriters). Just past the coffee shop's large window, light rain and the last of the day's light were coming down onto the empty gazebo. The setting served as a perfect backdrop to Brent's double-edged lines, her subtle and adept musicianship, her resonant vocals and her depth as a songwriter.